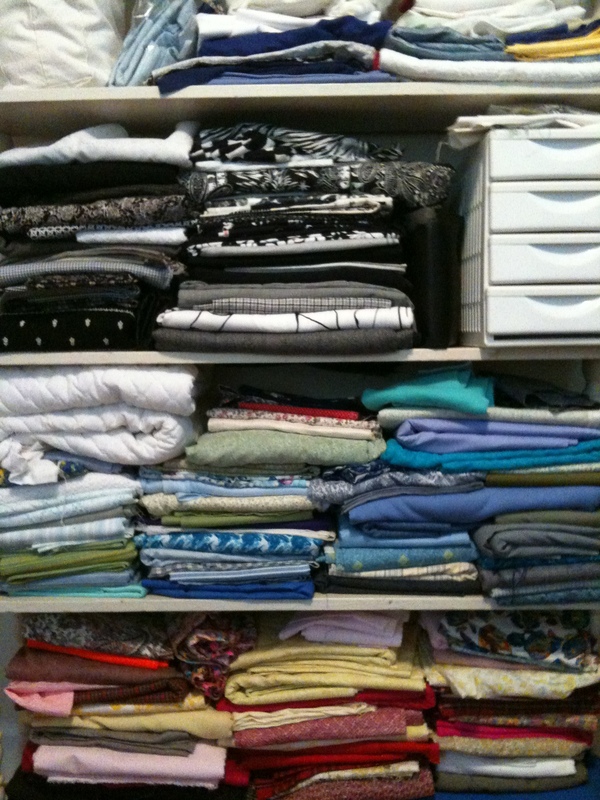 I for one have very much benefited from Wibby’s closet (rather, back then, attic) o’ fabric. Wibby, I am sorely out of sewing practice! Have you been making anything these days? Before Wibby moved to Nashville, “the remnant closet” might have more accurately been called “the remnant house.” This wall of fabric is only the tiniest fraction of what she very reluctantly left behind! Wibby, you will be proud to know that Theresa is beginning her own fabric collection and she asked her teacher if she could have the sewing machine as her research topic for machines. 🙂 We love you! Wibby, I didn’t know you were sewing talented too! I learned to sew from my mother when I was about 11. I started making (from patterns and my own design) Barbie clothes. I made some for Ken too. He had a really swell plaid double knit suit out of scraps. I learned to smock when my daughter was 3 and smocked for her and my boys. I could afford it because I knew how to put the outfits together and didn’t have to pay someone else to do it for me. My mom used to make us matching Easter dresses. I don’t have much time for sewing now but eventually will get back to it. My grandmothers quilted and I have some great quilts from them – even some that their mothers and grandmothers had a part in making. I have one like your wool quilt made out of old flannel shirt scraps. It’s the warmest quilt ever! Miss you!